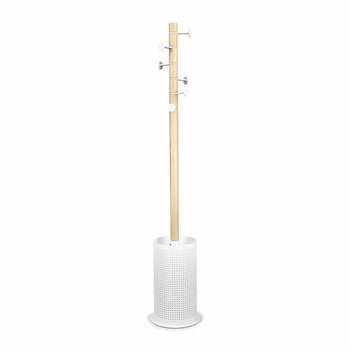 Stylishly store your outdoor wear with our selection of coat stands. Perfect for placing in a hallway, porch or within a bedroom, each coat stand features numerous hooks and hangers to hold your favourite jacket, hat and scarf. Traditional shapes have been replaced with contemporary stylings ensuring an artistic finish to a room ...when not in use. Stylishly store your outdoor wear with our selection of coat stands. Perfect for placing in a hallway, porch or within a bedroom, each coat stand features numerous hooks and hangers to hold your favourite jacket, hat and scarf. Traditional shapes have been replaced with contemporary stylings ensuring an artistic finish to a room when not in use.